The Children’s Room closes 10 minutes before the rest of the library. 1. All children under the age of 7 must have an adult or a responsible person 13 years or older with them at all times while they are anywhere in the Library. 2. No library staff member is authorized to accept responsibility for the supervision or care for any minor child left alone or unattended at the Library at any time. 3. No child under the age of 7 will be allowed on the computers without a parent or guardian seated with them. 2. Should it be determined that a child under age 14 has been left at the Library at closing time, every attempt will be made to contact the child’s parents or other family member. The Swampscott Police will be called if no one can be reached. Staff members will remain after hours with an unattended child until the parent, guardian, or police arrive. 3. Staff members staying with the child will be compensated for time spent waiting, by the town. 4. Staff members should fill out an incident report and leave it for the director when the police are called. 5. Library staff members will not transport children from the Library to any other location. 6. Parents, guardians, or caretakers who violate the rules stated above risk having their library privileges restricted or revoked. Approved by Board of Trustees on July 18, 2006. The children’s area of the Library is reserved for children, their parents or responsible adult caregivers, and adults interested in children’s literature, such as teachers and college students taking children’s literature classes. Out of concern for the safety of young patrons, adults who are unaccompanied by a child or children in the children’s area of the Library may be questioned by staff, and may be asked to move to another area of the Library. The Children’s Room has three computers available for use by children. All computers connect to the library catalog. Three computers have games for young children, and another computer has software that provides homework help for older children. Three computers have access to Printshop Deluxe and Microsoft Word. All of the computers are connected to a black and white laser printer. The first two pages printed are free, and each additional page is $.10 each. Two of the computers are internet accessible. To use any of these computers, you must be in the 6th grade or younger and bring your library card to present to the librarian. The Children’s Room also has a special computer with internet access for parents who are accompanied by a toddler. The child can play with toys and puppets while the parent uses the computer. Click here to go to the Registration Calendar. 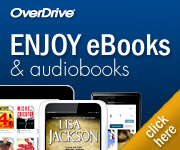 These resources are free for everyone from computers within the library and free for Swampscott residents from home with a valid library card and PIN number. 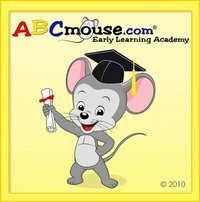 Due to licensing restrictions ABCMouse is only available from within the library. The web site has been federally funded with LSTA funds through the Massachusetts Board of Library Commissioners.